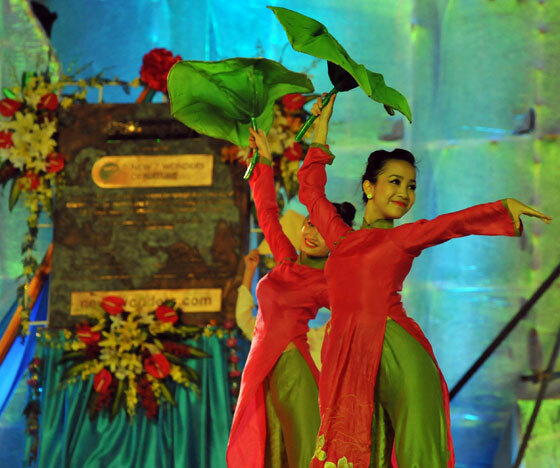 Last night’s Official Inauguration celebrations in Hanoi produced some truly remarkable images. 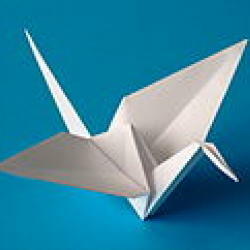 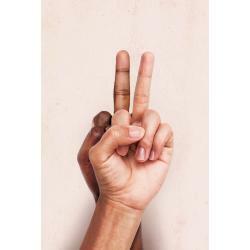 Here, we share some of them with you. Photos: Quang Thang. 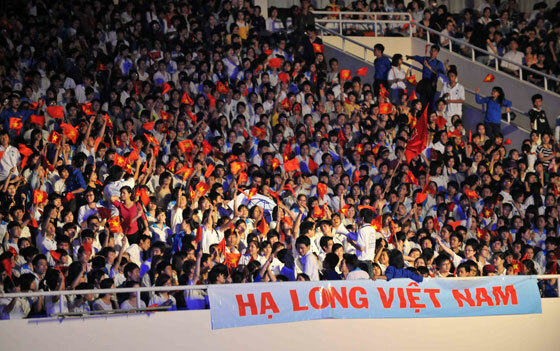 My Dinh National Stadium was filled with fans of Halong Bay, one of the New7Wonders of Nature. 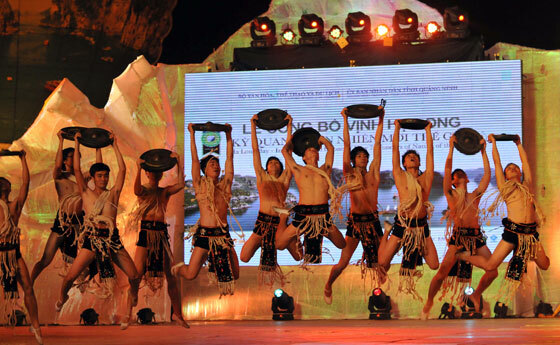 The audience was treated to a superb show that interpreted the culture of Vietnam in song and dance. 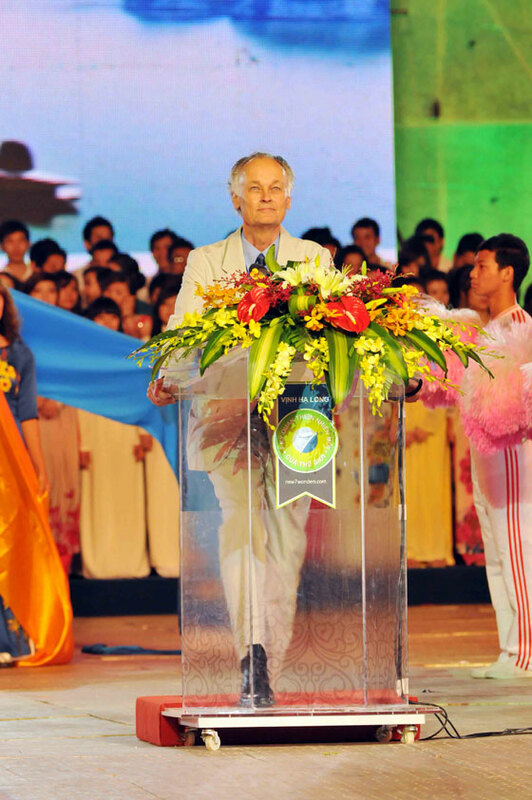 The intrinsic value of our natural heritage was at the heart of the speech delivered by Bernard Weber, the Founder-President of New7Wonders, during the Inauguration celebrations. 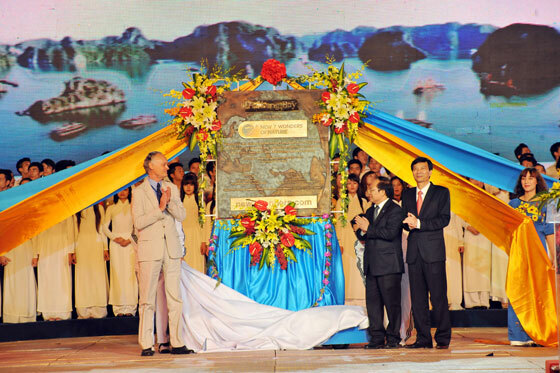 The Halong Bay plaque was unveiled by Bernard Weber in the presence of Hoang Tuan Anhb, Minister of Culture, Sport and Tourism, and Nguyen Van Doc, chairman of Quang Ninh Province’s People’s Committee. Against the background of the specially-commissioned bronze plaque that was cast in Munich, Germany, a group of Vietnamese dancers delivered a performance marked by elegance and beauty.